The president and cacique agree to delay decisions on the hardest questions. Photo by the Presidencia. On August 10, one faction of indigenous opponents of the Barro Blanco Dam vowed to close the Bridge of the Americas. The riot squad showed up but the protesters didn’t. 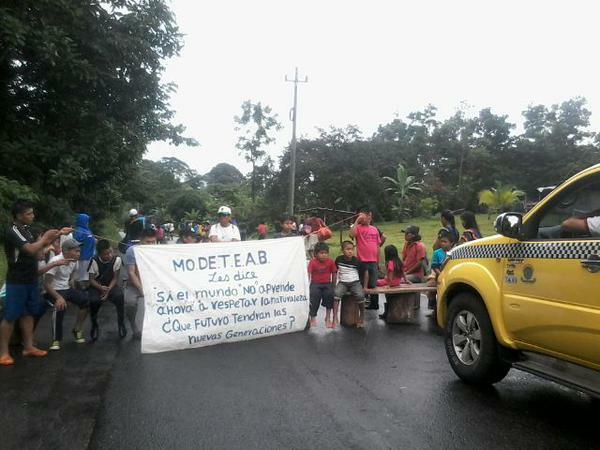 Meanwhile another group blocked a road in Bocas del Toro. The main action, however, was at the presidential palace. There the general cacique of the Ngabe-Bugle Comarca, Silvia Carrera, and the president of Panama, Juan Carlos Varela, signed a truce that doesn’t really settle the most controversial issues — some of them are not even mentioned — but does seem to buy time in a situation that was headed for a major confrontation. The agreement that was signed allows for the completion of construction of the dam itself, as the government urges that the failure to to this creates a risk of changing the course of the river and flooding downstream communities. However, the closing of the gates to flood the area behind the dam will not happen unless there is a new agreement to allow that. A joint government and indigenous technical commission will study the questions of the unfinished power plant and bridge abutments. Work on the generators is stopped unless and until there is another agreement that would allow it to resume. Talks will continue with United Nations moderation and will broach the subject of the dam’s ultimate ownership, with the possibility of a buyout of the project’s developer GENISA specifically raised. GENISA is denouncing the agreement, which was made in its absence ane mentions no direct role for it in future talks. Some Ngabe militants have also expressed opposition or skepticism. 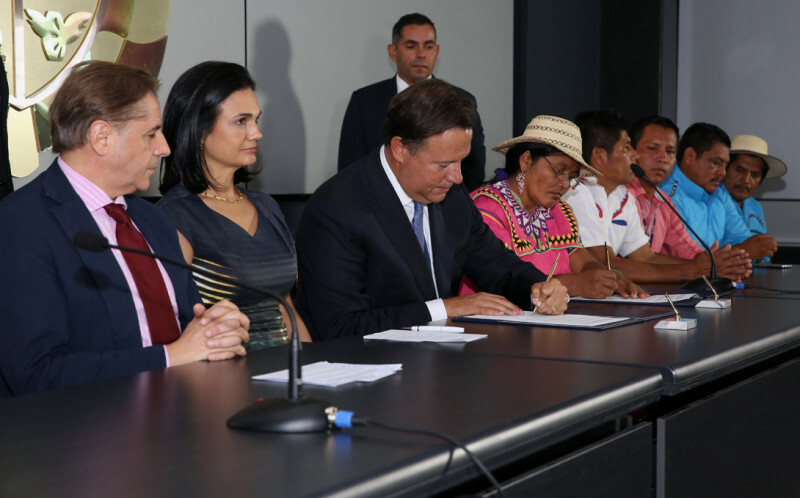 The most important of Silvia Carrera’s intra-Ngabe rivals, Mama Tata leader Clementina Pérez, has yet to state a position on the agreement. GENISA had intended to inundate some ancient petroglyphs along the Tabasara River’s banks, a monument that the Mama Tata religion considers holy. The agreement puts off any immediate threat of that. One of several road closures by members of the Mama Tata faith in Bocas del Toro.